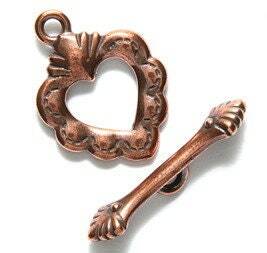 TierraCast Sacred Heart Antiqued Copper plated Toggle Clasp Set. The design is on both sides of the clasp. Quantity: 1 set per pkg. Very nice quality! Thx again!